The 18-story Naples Grande Beach Resort anchors a 23-acre property just inland from the Gulf of Mexico behind a 200-acre mangrove estuary called Clam Pass Park. From the balcony of my room, I can look west across those mangroves and east across the red-tile roofs of the tennis villas and the 15 Har-Tru courts of the tennis complex beyond. As is often true in Florida, activity on the courts has started early; everyone, it seems, wants to play in the mornings and in fact I'll be there shortly to join a men's drill session. But though the courts are already busy, the hotel lobby is almost deserted. There is, I've been told, a large conference group in house; however, the meeting rooms are mostly on the second floor—an escalator ride up from the lobby—and thus out of the mainstream, leaving me with the sense of having the hotel largely to myself. That circumstance is unusual, and not typical of my previous visits to the property. Though set up to handle large conference groups, the hotel also has the amenities to attract leisure guests, chief among them a 7-mile-long ribbon of sand along the Gulf of Mexico. To reach the beach and the resort's watersports center, guests can hop a free shuttle or stroll along a .6-mile-long boardwalk that winds through the mangroves and over a canoe trail. To that natural feature the hotel adds a suite of distractions of its own, including a free-form swimming pool with a waterslide and waterfall and a second oval pool with cabanas and a hot tub, a pool-front fitness center, a spa, a kids club (also right off the pool), golf privileges, a lobby restaurant and bar, and, of course, tennis. The main cluster of courts fans out from a single-story red-roofed air-conditioned pro shop with a flatscreen TV, basic tennis essentials, limited clothing and equipment, and a display of wooden racquets. Peter Burwash International (PBI), which has managed the facility for several years, has installed Donald Becker to direct the facility. Originally from upstate New York, Becker played for Allegheny College and then went on to coach the Division I men's and women's teams at Niagara University. 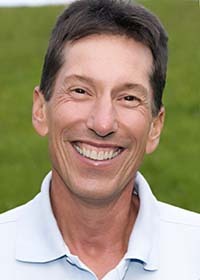 He is a graduate of the USTA High Performance Coaching Program, and is a former USTA Competition Training Center coach. A veteran of several PBI postings, he had most recently headed up the programs at and Caneel Bay in the US Virgin Islands and Hanalei Bay Resort in Hawaii. Tennis Programs. In any given week, guests can look forward to daily clinics, two 4.0 clinics, two Rusty Racket clinics, and a 4.0 ladies doubles clinic as well as private lessons. His staff includes a full-time tennis attendant to see to all player needs include matching. A local membership ensures a base for the drill sessions and activities as well as for guests looking for a game, and the hotel allows outsiders to play, so even on occasions when the hotel itself has few players, the courts see a lot of use. Courts & Fees. There are 15 Har-Tru courts, 5 of them with lights, just a 2-minute walk from the hotel lobby. Court fees: $15/90 minutes. Beach. A boardwalk through a mangrove estuary connects the hotel with a 7-mile-long beach on the Gulf of Mexico. Golf. Guests have privileges at the nearby Naples Grande Golf Club, a par-72 layout designed by Rees Jones. Spa and Fitness Center. The Zen-inspired Waldorf Astoria Spa has 12 treatment rooms in a cluster of pavilions set in gardens just above the swimming pools. Before and after treatments guests have access to an outdoor relaxation space with lounges and to a labyrinth for meditation. Light lunches are available from a special spa menu. The Fitness Center, which spans 8,000-square feet, overlooks the mangrove estuary from the 3rd floor. A room key provides access 24/7 to the workout room, sauna, steam, and lockers supplemented by a yoga studio. Personal trainers are available. The hotel runs a kids' program for those ages 4 to 12, basing in out of a room off the swimming pool and entertaining them with arts and crafts, video games, television, and sports and recreation. There are 474 rooms and suites in this 18-story hotel. All have balconies. Coffee, pastries, and breakfast sandwiches are available at Spressi in the hotel lobby while Aura serves breakfast, lunch, and dinner with an emphasis on locally. Dinner options range from small plates, to flatbreads, pasta, and local grouper. For drinks, you can head to the simply title The Bar in the hotel lobby. The resort has 474 rooms, suites, and bungalows. Check their website for the latest rates. Travel Instructions. By Air: The nearest airport is Southwest Florida International Airport in Ft. Myers, 35 miles to the north. General Tourist Information. For information about this region, visit the Tourism Alliance of Collier County website.